“In my mind, the world of today awoke April 15, 1912,” is a very famous quote that was said by 17-year-old Titanic survivor, Jack Thayer. The quote that he said over 100 years ago seemed particularly significant because the young man was saying a lot, not only about the age he came from, but how different the world would be now that the biggest ship in the world, the RMS Titanic was now lost at sea with over 1500 people that were still on board her. The age that Jack Thayer was born into was known as the Gilded Age, and the loss of the Titanic shook the world so fiercely that it had forever been changed. John Borland Thayer III was born on Christmas Eve in 1894. His father, John Borland Thayer, Jr., was the Director of the Pennsylvania Railroad, and his mother, was a popular Philadelphia socialite named Marian Thayer. Together, John and Marian had four children. In April of 1912, Jack Thayer, and is parents, were on an extended vacation in Europe. The rest of the Thayer children were not present, it was only Jack and his parents, and their personal maid. When the trip was over, it was time for the Thayer family to return home, and they booked pass on the RMS Titanic. The family was anxious get back to New York to celebrate the 50th birthday of John Thayer, who was father to Jack. 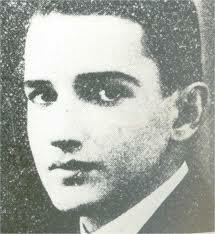 On April 10, 1912, Jack Thayer, and his parents, boarded the Titanic when she pulled into Cherbourg. The family occupied a cabin on C deck, room C68, but Jack Thayer was allowed to have his own room, which was right next door, cabin C-70. Over the course of the next four days, Jack Thayer was a typical 17-year-old boy, roaming around the ship enjoying everything that the ship had to offer. On the night of the disaster, Jack Thayer was in his room, and when he heard the scraping sound, he quickly got dressed and went up on the boat deck. When Thayer found the ice scattered on the forward well deck, and he immediately went back to C deck to let his parents know what was going on. Jack Thayer managed to get his parents up, and everyone went back to the boat deck already noticing that the Titanic was beginning to list to one side. 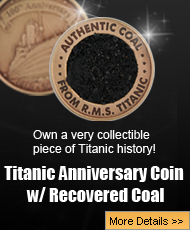 However, in the commotion of filling up and lowering of the Titanic’s lifeboats, Jack lost both of his parents, but naturally assumed they had boarded a lifeboat. Jack had managed to make a friend, a young man named Milton Long. 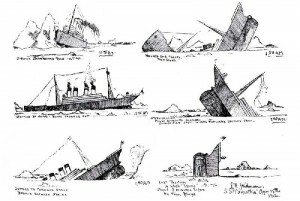 Not permitted in a lifeboat, Thayer and Long made up their minds to just jump off of the sinking ship. However, when the two young men jumped, Thayer hit the water, and he never saw Milton Long again, but managed to get to the overturned lifeboat that Second Officer Charles Lightoller, and about 40 other men were all clinging to. Jack Thayer would later talk about what it was like floating on the overturned boat, and once the Titanic had gone down, there was a horrible noise of the people crying in the water that Thayer described as sounding like “locusts.” Finally, the men on the overturned boat were rescued by lifeboat number 12. By half past eight in the morning, lifeboat 12 was taken on board the Carpathia, and there, Thayer was reunited with his mother, but his father was among the lost. While on the Carpathia, Jack Thayer told a crew member about the way that the Titanic sank, including he fact it broke in two, and the crew member was then able to draw a picture of the ship breaking in two. Thayer’s drawing of the Titanic became famous, and today, it is in the hands of the Titanic museum in Indian Orchard, Massachusetts. 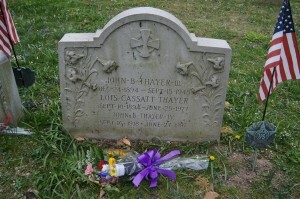 Jack Thayer grew up and got married, and he had five children with his wife, Lois Cassatt. When World War II broke out, his two sons, John and Edward, both enlisted to serve their country. Thayer’s son Edward was a pilot, and in 1944, his plane was shot down, and this distressing news, combined with the death of his mother on the 32nd anniversary of the Titanic sinking, was more than Thayer could bear. Suffering from depression, Thayer ended up taking his own life on September 20, 1945 but cutting his own throat and both wrists. 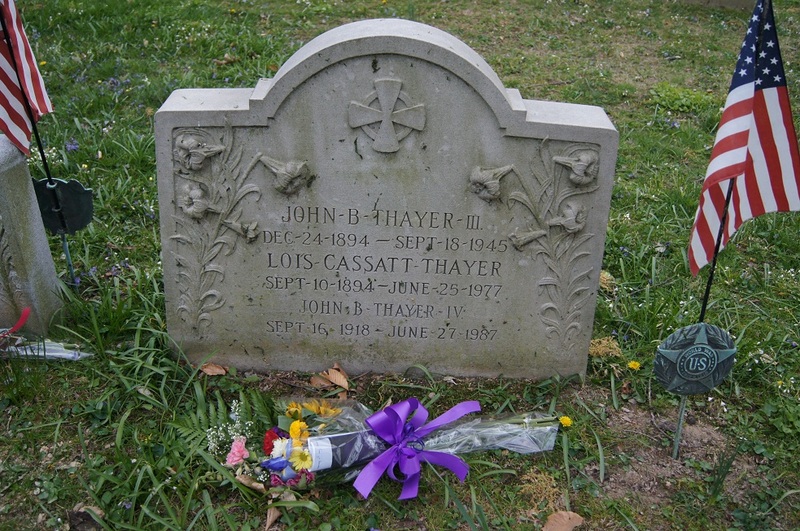 Thayer was dead at age 50, just like his father, and the distraught husband and son was laid to rest at a cemetery in Pennsylvania.